This issue’s cover features a photograph from the collections of the University of North Carolina (UNC)-Asheville. 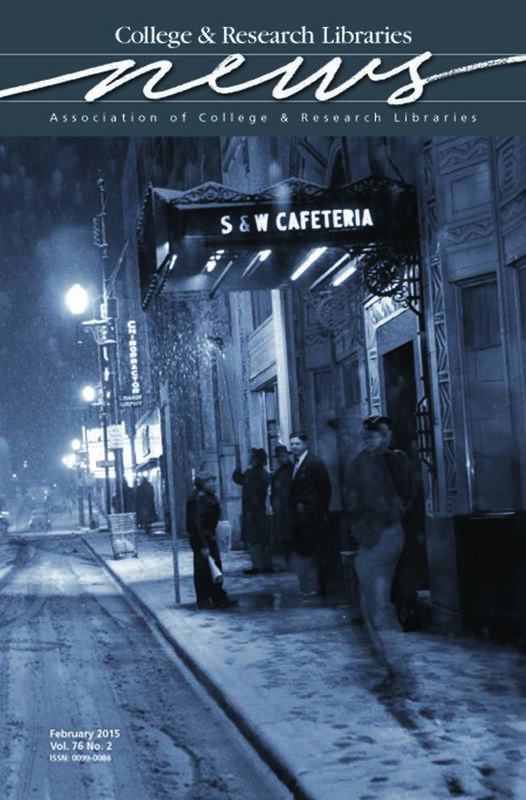 This long exposure snow scene of pedestrians was taken in downtown Asheville by local photographer E. M. Ball in the late 1950s. The photograph is from the E. M. Ball Photograph Collection, which is housed in Special Collections at UNC-Asheville. UNC-Asheville’s Special Collections document the rich and diverse culture and history of Asheville and the Appalachian region. More information on the university’s special collections and archives is available at http://toto.lib.unca.edu/.